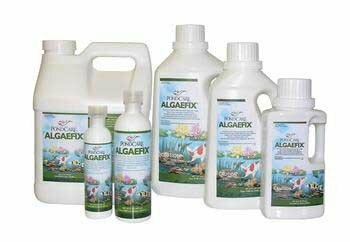 Effectively controls many types of green or green water algae, string or hair algae and blanketweed in ponds that contain live plants. Controls existing algae and helps resolve additional algae blooms. Keeps ornamental ponds and water gardens clean and clear. Please note: this item forms a lot of bubbles on top, and filters need to be cleaned to clear the water. Failure to keep the filters clean in conjunction with the use of this product may result in the algae not being cleaned effectively, which can then cause fish to get sick due to the algae in the water. If you have any questions about this product by Mars Fishcare North America, contact us by completing and submitting the form below. If you are looking for a specif part number, please include it with your message.